You will find this a great opportunity to take your painting to the next level. Working with Joni will allow you to get the personal help you need with your art. Focus on developing your own artistic vision, or getting you past any painter’s block you may be experiencing. 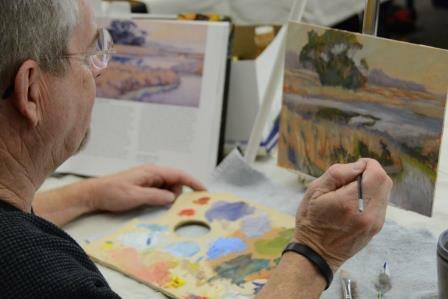 The subject focus of this class is life like landscapes. This class is designed for painters of all levels, whether you are new to oil painting or an advanced painter wanting to brush up on your techniques.